After this film, it's srange to see the consequences: The whole palace became (officially) national monument in 1948. In the 1950-70s archeologists were really proud of their work: they managed to find many fragments of the Medieval palace under the Baroque one. 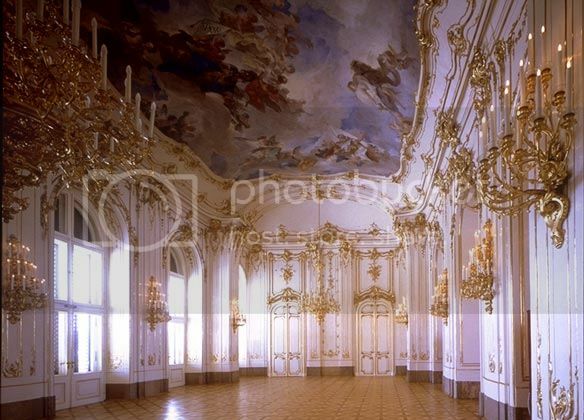 BUT while they did a great job down under, they almost completely destroyed the baroque-neobaroque interiors (because of art historical/political reasons) and in the name of modern priciples of historical monuments' protection, they cleaned the baroque exteriors from the Neobaroque changes, and then they needed to alter the originally neobaroque wings, too, to make a "standardized" look. Etc. etc. 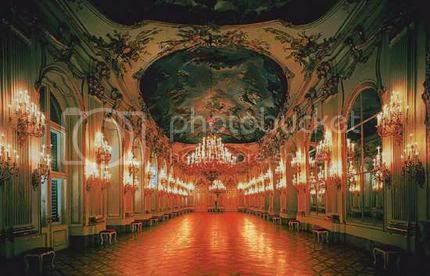 The Habsburg Hall was demolished in the early 1960s. Today, it's replaced with a totally modern (and very ugly) interior. 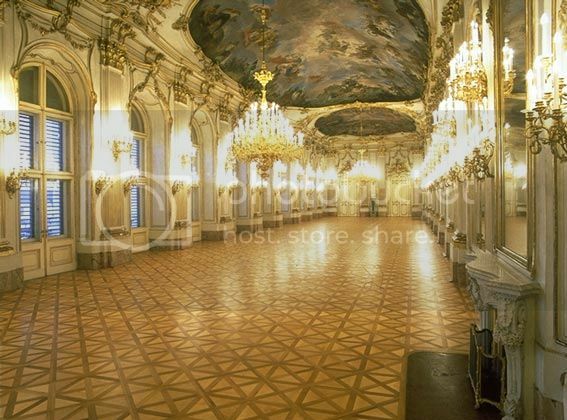 Iam planning to go to Budapest next month and I would like to know if the Royal Crypt is open to the public and when. If I have time I will visit Godollo and Alcsut too. I will make an appointment to visit the royal crypt. 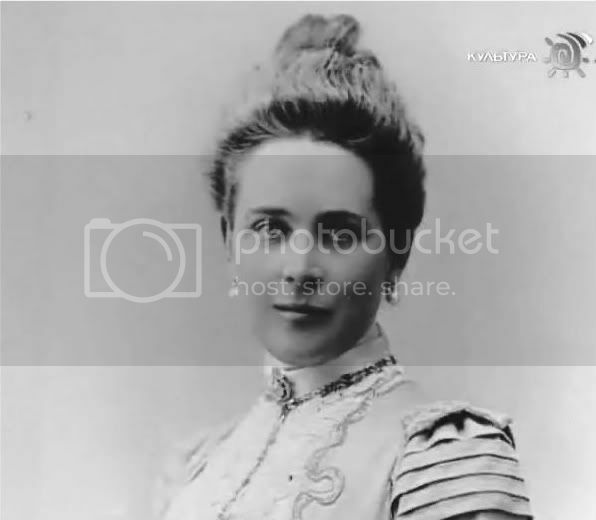 Do you know if the grave of Archduchess Marie Dorothea (later Princess of Orleans) is still in Alcsút? I once read she was buried there but Iam not sure if her remains were later moved to Budapest. I'll look after it. She died in Alcsút in 1932. I'm sure that her body was not moved to Bp. Here's a plan of the Budapest crypt. This is the actual state - it's in Hungarian, but I think, it won't be hard to understand. Thanks. It could be that she is still buried in Alcsút. I will see if I find her grave there. It is an interesting plan of the crypt. But just now there are more Habsburgs buried there. I think this plan is from before the restaurations in the 1970's. Iam very interested in the Hungarian Habsburgs, I have a nice book "a nadorá kripta" but unfortunately I can't read Hungarian. I would like to learn someday.But the pictures in the book are quite interesting. 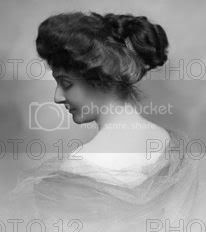 I am specially interested in Palatin Joseph, (husband of Clotilde) and all his family. His son Ladislaus died in a hunting accident and I like to know more about his short life and death so I ordered an old book about him(Aus dem Leben des Erzherzogs Ladislaus, by I. Thewrewk) in microfilm from Wien. 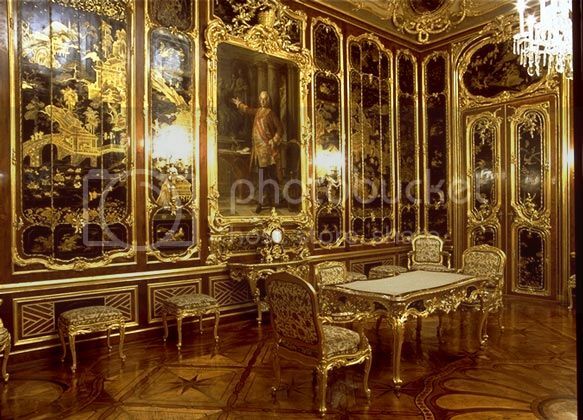 Do you know nice albums/books/biographies about the Hungarian Habsburgs in Hungarian or German? I'm not sure if this is the right place to post this, but I'll give it a shot. 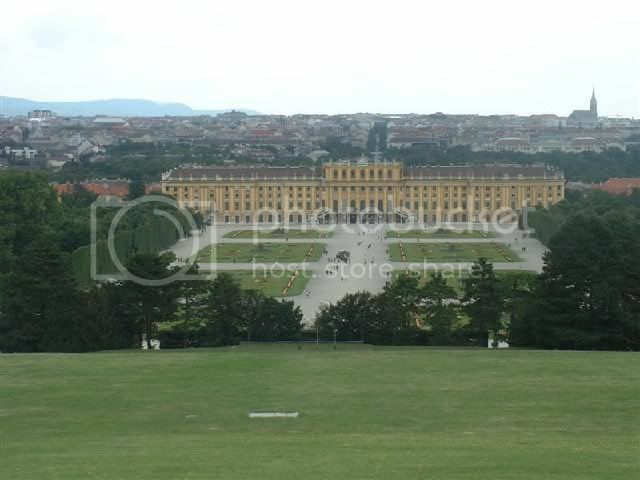 I was looking around for images of Schönbrunn on the forum but was unable to locate any. I did try using the search function, but found no results. Can anyone post images of this beautiful palace? 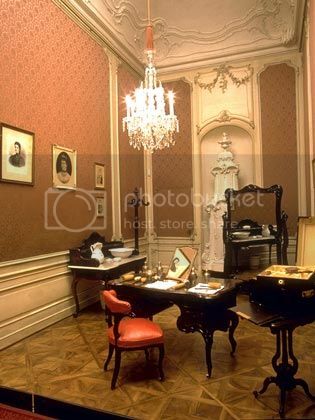 If you can find images of Empress Elisabeth's (Sissi) personal rooms, I would be forever gratefull. 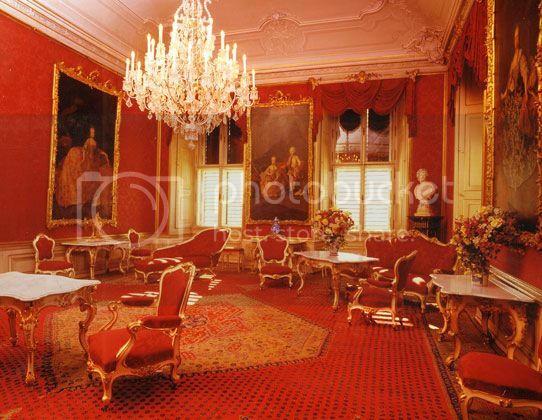 Here are a few images I was able to find of the interior of the palace. The last picture looks very wonderful!!! Some kind of romantic in this light! Interesting...very beautiful...where did you find these photos? A few I got from my friend who e-mailed them to me. The last one's I found via Google. 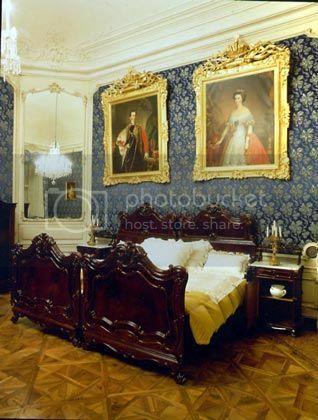 There is a webpage that has really nice pictures of Sissi's private rooms but they are so small and I'm unable to enlarge them. :-/ Needless to say it's very fustrating.